Shakespeare was educated at the grammar school in Stratford, where he received an intense training in classical works of literature and rhetoric which he read in the original Latin. The reading and writing skills he learned in his youth served him well throughout his life. 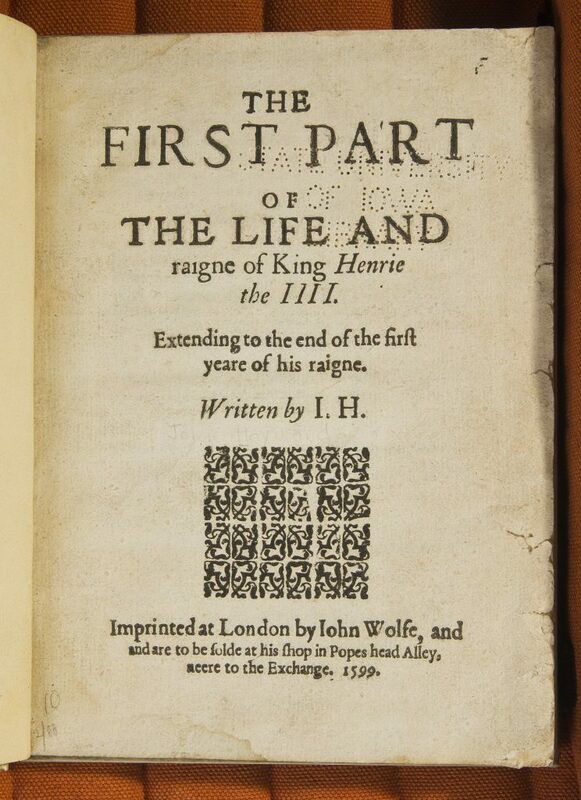 Shakespeare read widely and actively in a remarkable variety of forms, genres, and languages. 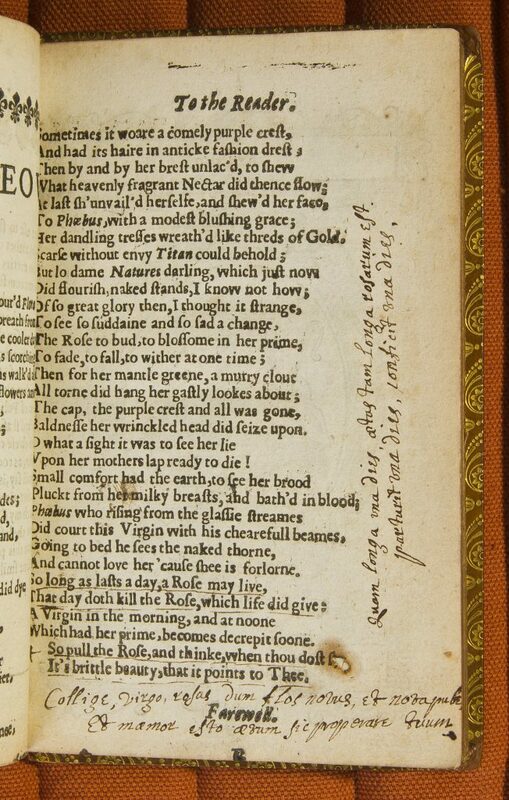 He then incorporated, adapted, and transformed those texts in his own poems and plays. 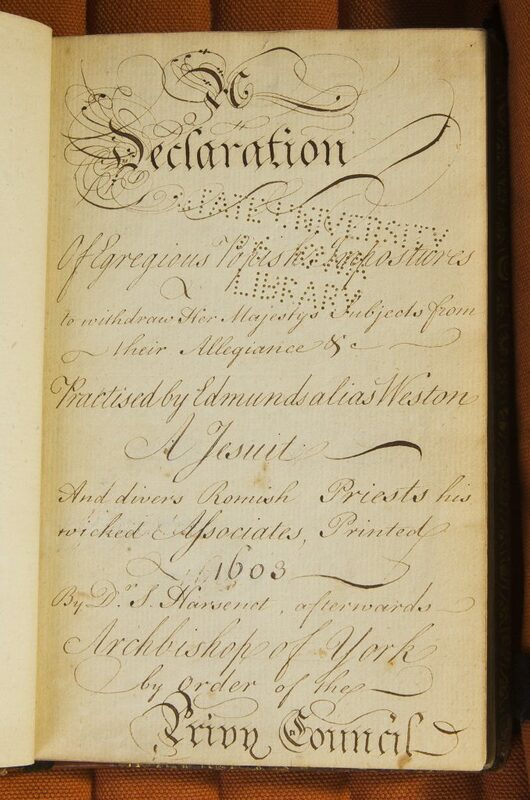 This page includes examples of the many kinds of books that would have constituted Shakespeare’s library. 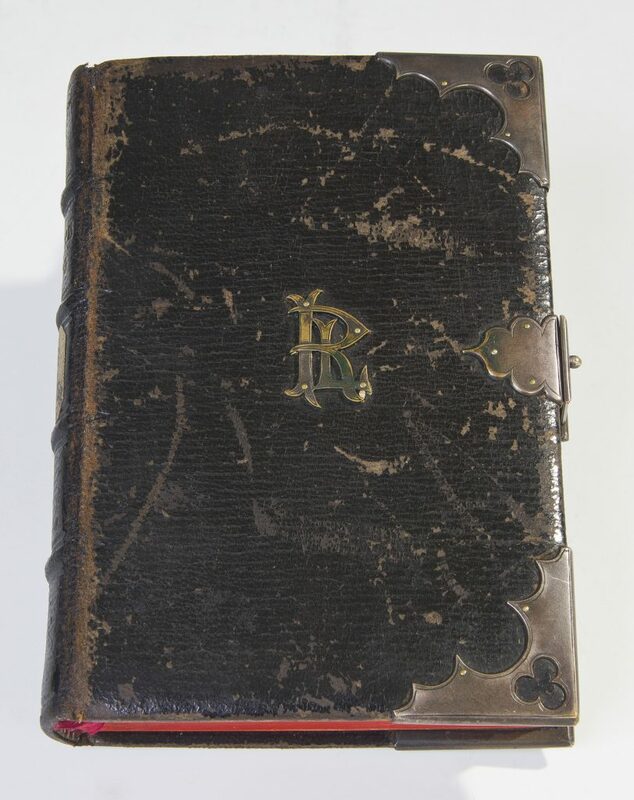 In grammar school Shakespeare read a number of small, portable editions of the classics designed for the use of students and scholars. The works he encountered in his youth provided the foundation for his career as a writer. 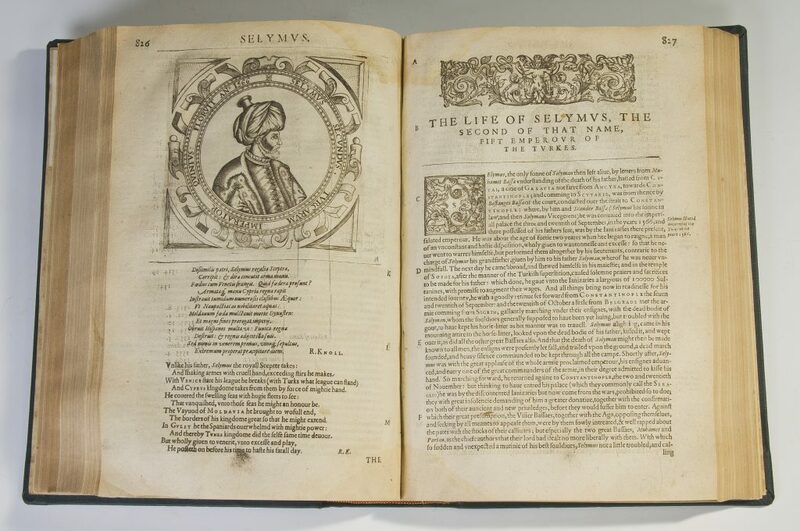 Ovid was the most important literary influence on Shakespeare, and he was widely identified as an Ovidian poet by his contemporaries. 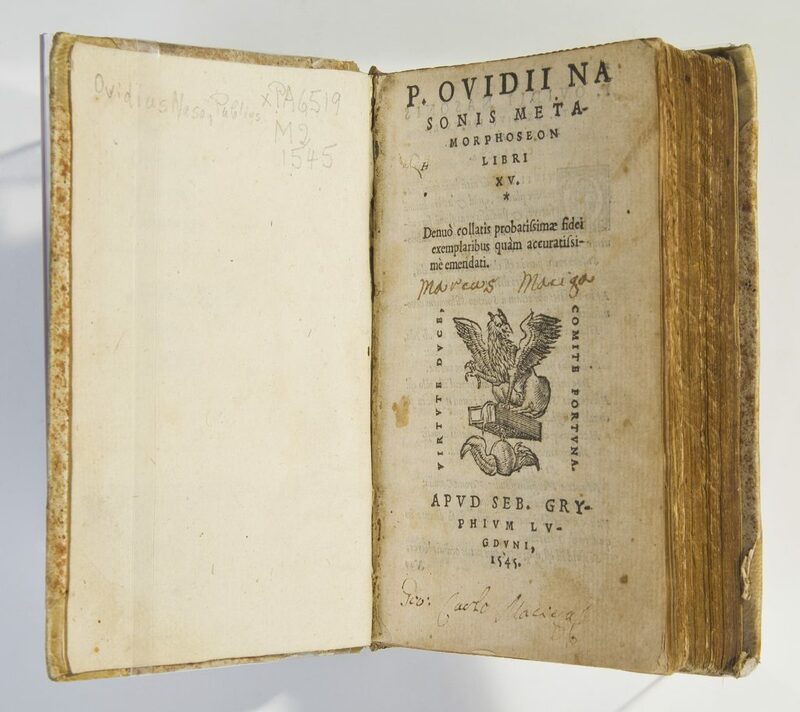 Ovid’s Metamorphoses and his love poetry inspired much of his early work. 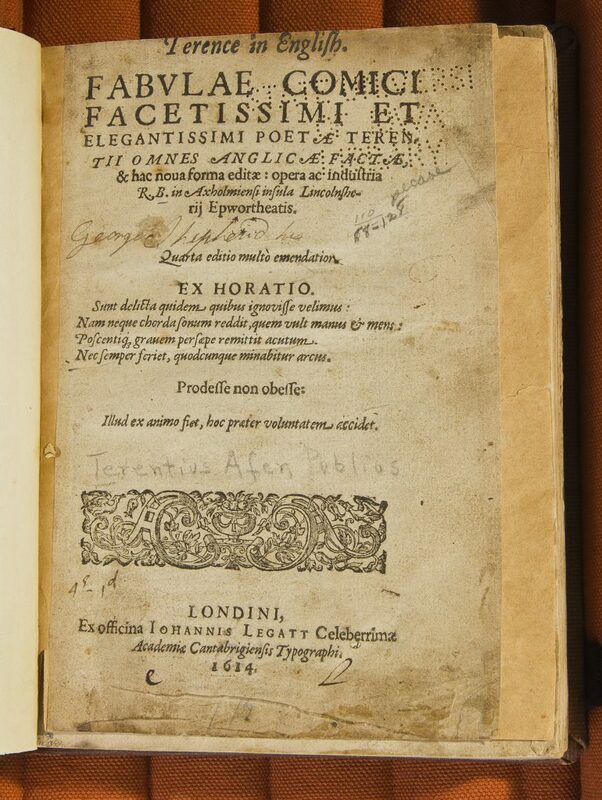 Latin comedies, such as those of the Roman playwright Terence, provided important dramatic models. 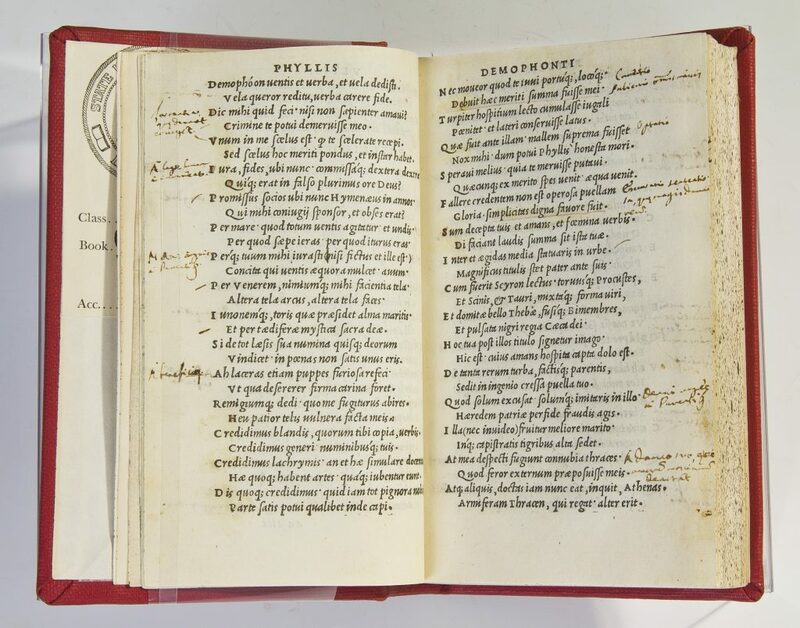 Some of these texts were available in accessible translations, such as the edition of Cicero and the parallel Latin-English translation of Terence featuring on this page. 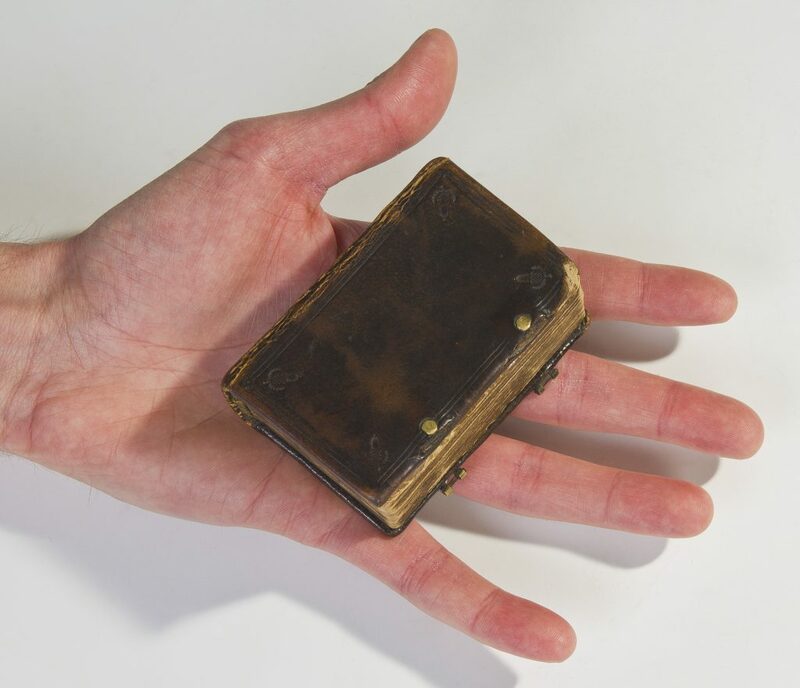 Shakespeare also read the bible, represented here by a tiny New Testament designed for private devotion rather than public worship. 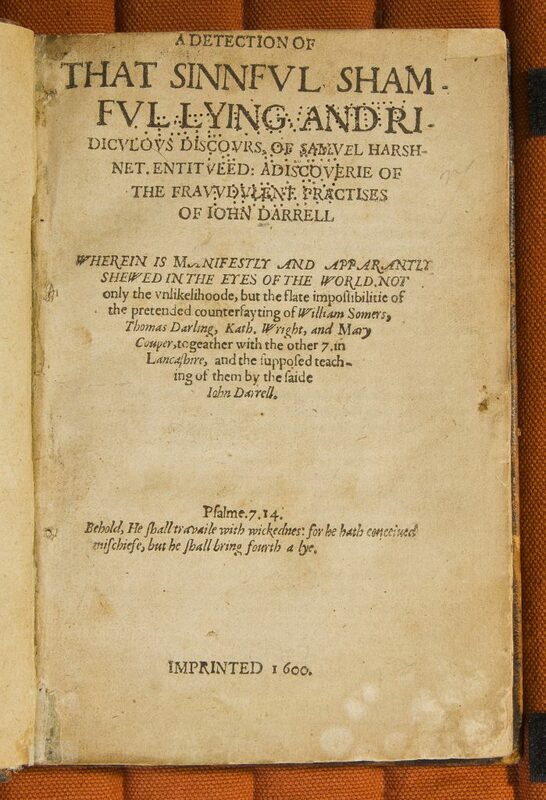 The fascination with witches and devils—so evident in Shakespeare’s Macbeth—was a result of changes in the religious and economic environment in England. 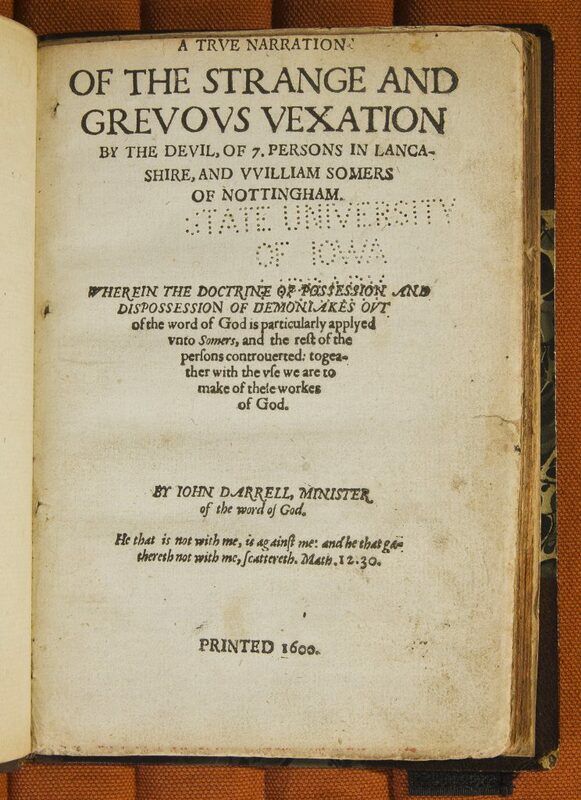 The controversial and spectacular practice of exorcism initially brought fame to John Darel for his exploits. Yet he was later exposed as a fraud by writers such as Samuel Harsnett, who revealed the events as nothing more than elaborate performances. 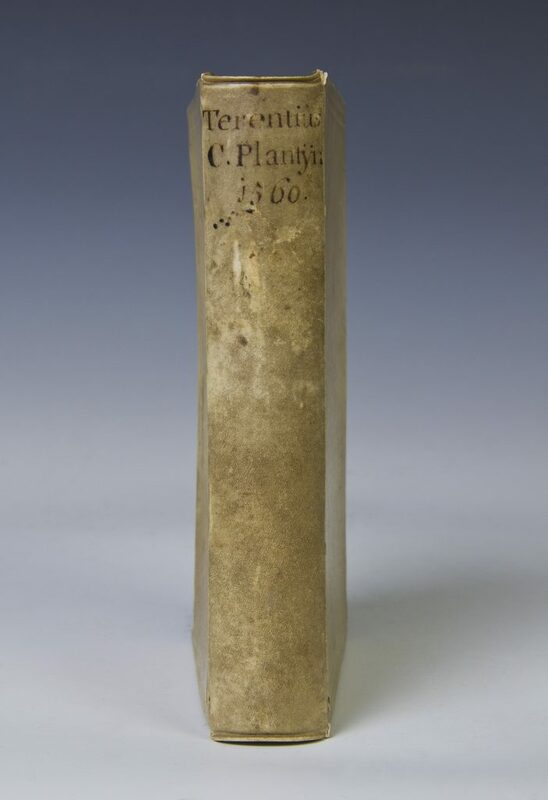 Shakespeare read Harsnett when writing King Lear, in which Edgar goes mad and utters the names of devils (such as “Fliberdigibbet”) found in the Declaration of Egregious Popish Impostures. 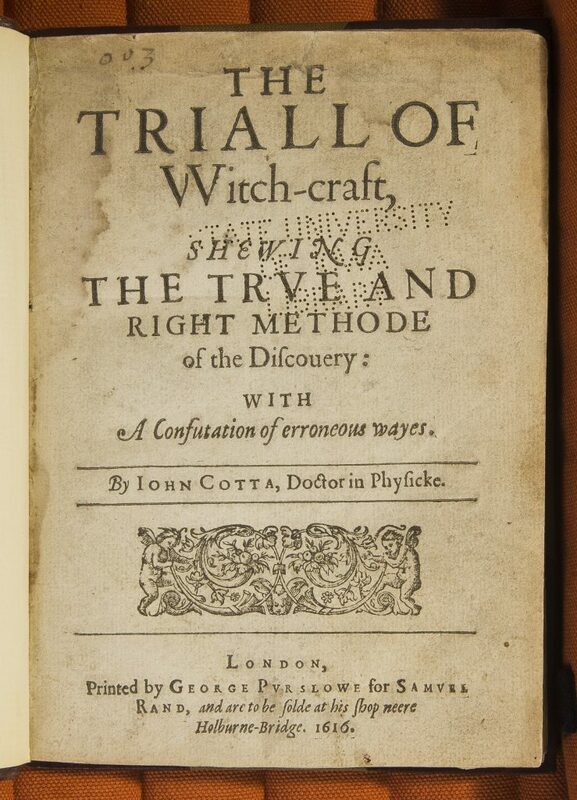 Scholars such as John Cotta and Reginald Scott examined witchcraft with a rational skepticism that drew on scientific and social issues. 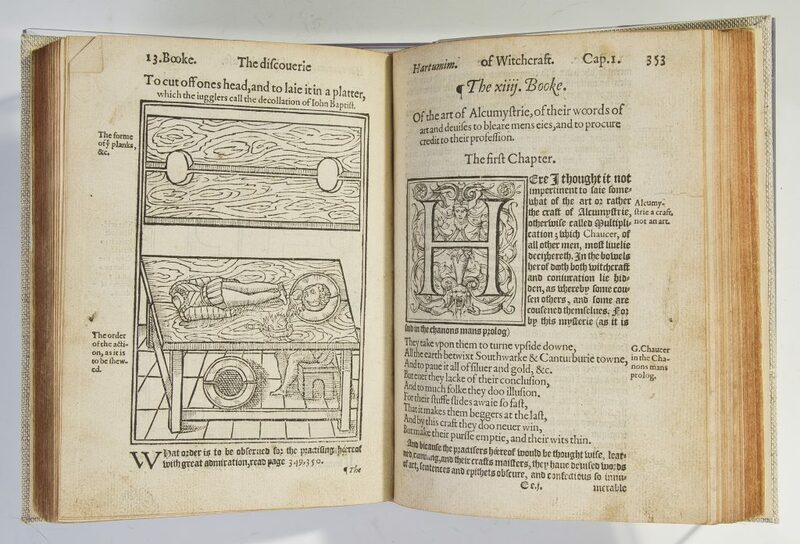 Scott’s Discovery also demonstrated the appealing theatrical nature of witches by revealing their tricks. 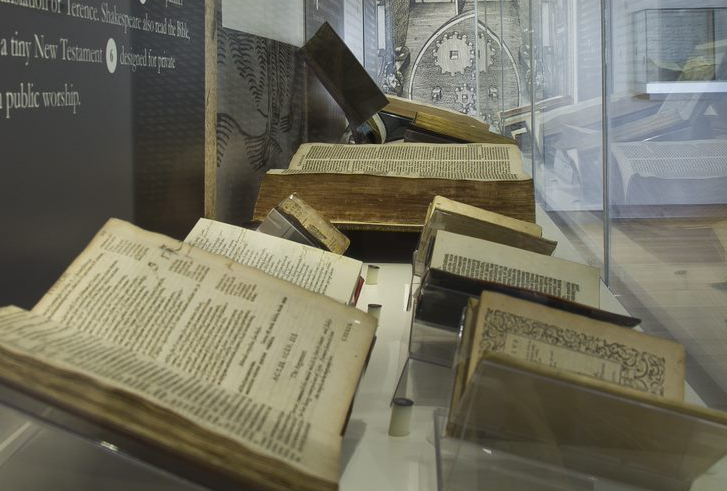 Shakespeare was an avid reader of poetry, plays, and other literary genres, but he was also inspired by practical everyday texts. 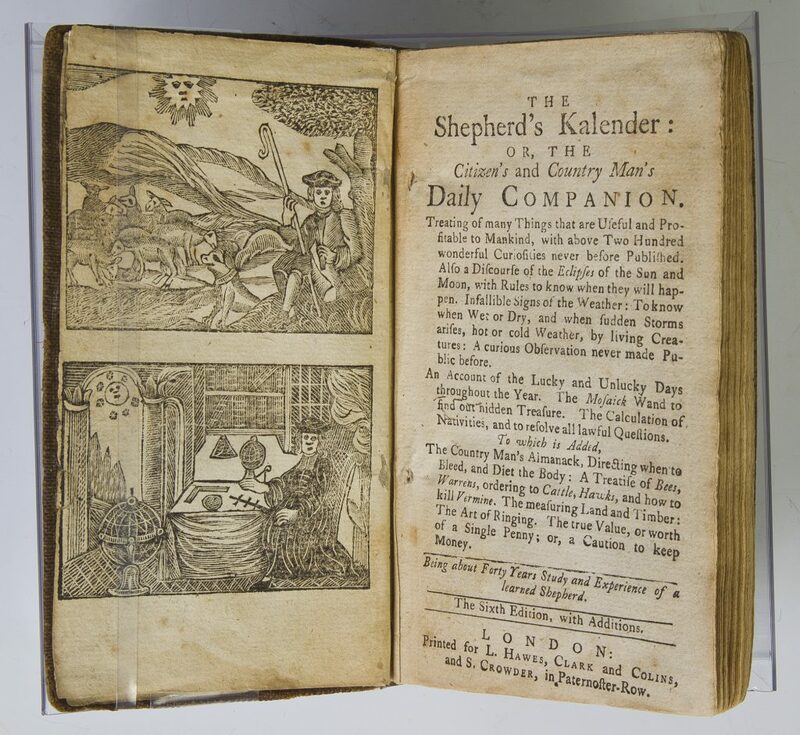 The “shepherd’s calendar” was a compendium of useful information similar to an almanac, and was an extremely popular genre. 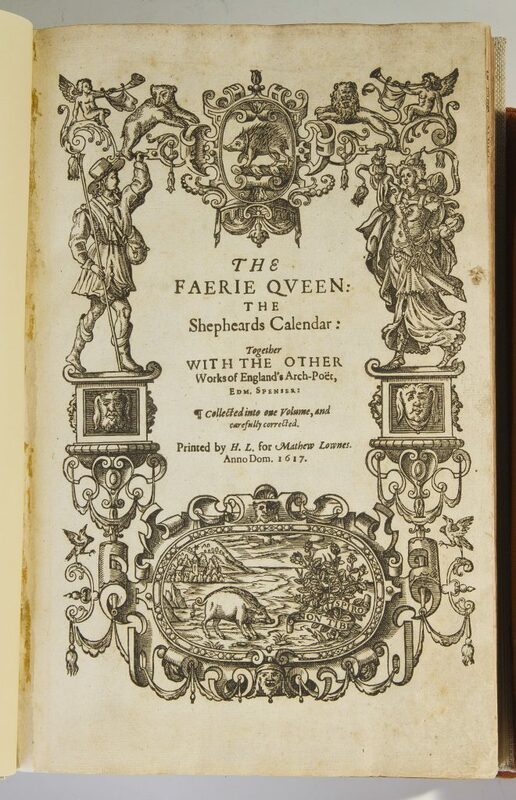 Edmund Spenser, one of the most important English poets of the period, fashioned his first major work on the model of a calendar, writing a cycle of twelve poems, one for each month, including the poem for “October” which praises the value of poetry. 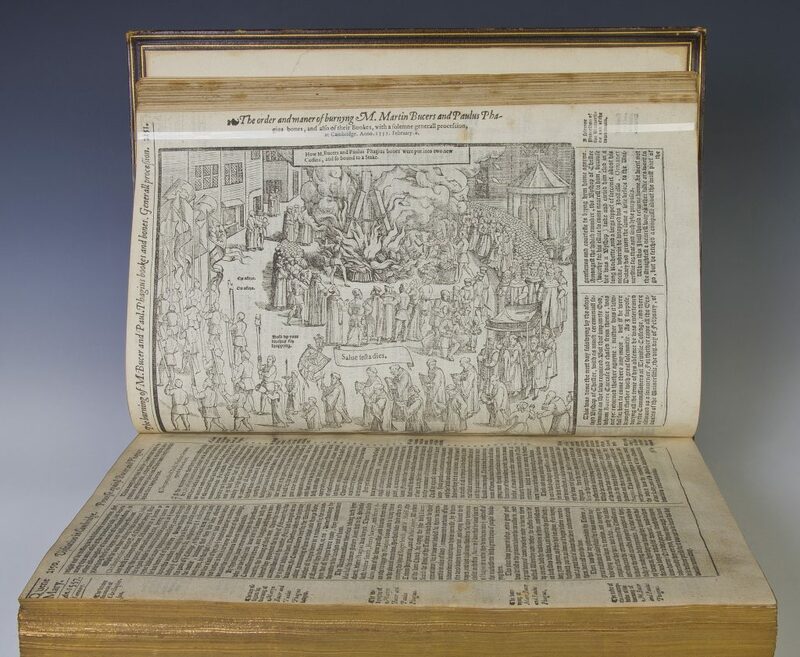 Robert Farley’s calendar imitated Spenser by tracing a man’s life from spring through winter, providing several entertainingly emblematic images. 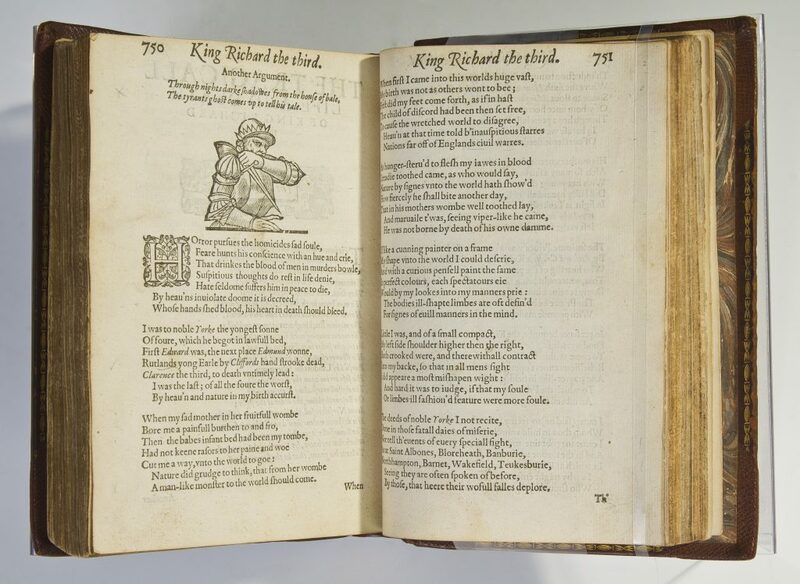 The format of the books here demonstrates the kinds of poetic and practical books familiar to Shakespeare.